Hanako is a 68-year-old Asian elephant who has lived in shameful conditions at the Inokashira Park Zoo in Tokyo for the past 61 years. She was transported in 1949 from Thailand to Japan when she was just two years old, to what would become her life-long prison. And ‘prison,’ is not an exaggeration. 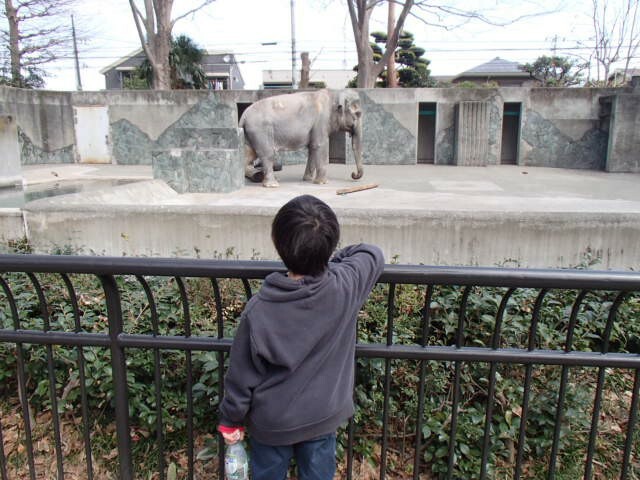 Blogger Ulara Nakagawa saw Hanako while visiting the zoo, and was shocked to see the conditions of her confinement. Ulara writes in her blog that it looks like “one of the cruellest, most archaic zoos in the modern world.” Hanako is completely alone in a tiny cement enclosure with nothing to comfort her or provide stimulation. She just stands there, appearing almost lifeless?, since there is nothing else for her to do. It was beyond painful for Ulara to take in Hanako’s pitiful situation. To add insult to injury, the Inokashira Park Zoo is located in one of the most affluent neighbourhoods in Tokyo and part of a public park known for being the home of the popular Ghibli Museum. This means that hundreds of thousands of global tourists have seen Hanako in her concrete prison and done nothing to help her. But now we have a chance to make up for lost time and make sure Hanako lives out her last days in the comfort she deserves. Please sign and share this petition demanding that Hanako be sent to an elephant sanctuary. If this is not possible, she needs to be given medical assistance and a new, enriched enclosure where she can interact with other elephants. She should not be forced to live in a concrete prison. P.s. This elephant deserves so much better. To date over 380,000 people have signed the petition. Thank you for helping educate others to Hanako’s plight. I have asked family and friends to sign the petition. May she be released to a sanctuary very soon.